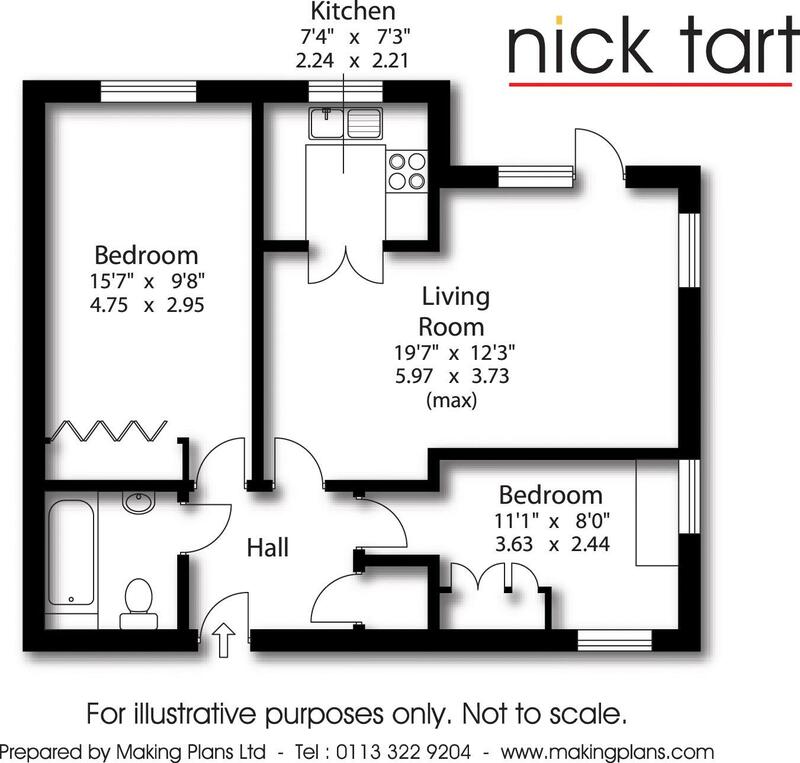 Well-proportioned ground floor apartment in McCarthy & Stone purpose built retirement development. With electric heating and double glazing, the accommodation comprises 19' living room, kitchen with appliances, 2 bedrooms (both with wardrobes) and bathroom and wc. ENERGY RATING C.